GREENVALE, NY – At this year’s Amusement Expo, Apple Industries offered a fun way to dramatize the fact that its Face Place Photo Booths generate cash for street operators as well as for FECs and high-traffic locations. Apple invited operators to step into a photo booth, have their picture taken, and if your photo experience was interrupted with a loud, congratulatory voice, you won $50 cash! Apple gave away $50 every 20 minutes to another happy winner. Apple’s Expo booth was continually crowded, and its sales team was constantly swarmed by customers, during the Feb. 28-March 1 trade show at the Las Vegas Convention Center. Also at Expo, Apple found another powerful way to convey its message that photo booths are major moneymakers. The company unveiled an 18-month, 0% interest finance program that, in effect, allows operators to pay for new machines out of the cash box. ROI for a Face Place Photo Booth is typically $200 to $500 a week (or even better) in a popular tavern location, Avery noted. In high-traffic sites like an outdoor location, destination mall or tourist attraction, a Face Place unit such as the newly upgraded Scene Machine 2 or the Photo Booth Deluxe easily earns $500 to 1,000 a week and sometimes much higher. Our Movie Booth, featuring Apple’s “CinemaScene” program, is perfect for movie theater lobbies because customers can experience and record “put-you-in-the-action” video adventures and “pose with a movie star” still photo options. 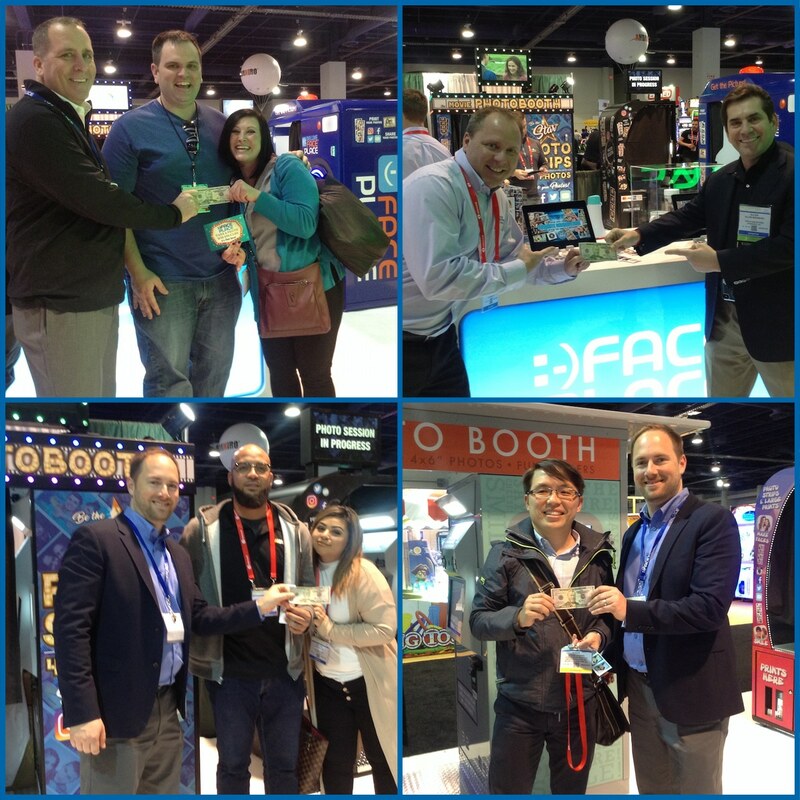 Amusement Expo ’18 was also the first opportunity for many operators to experience a new feature, available on any networked Face Place 2.0 booth, called “Share in Times Square.” Provided as a free upgrade to all operators of networked Face Place machines, “Share in Times Square” is an upsell feature that allows customers to enter a Face Place booth, take their picture, then post it immediately to a giant electronic billboard in Times Square, Manhattan. With Apple’s 18-month interest free financing program and a Face Place for every location, indoors or outdoors, 2018 is shaping up to be the “year of the street operator” at Apple Industries. Apple Industries Inc. (http://faceplacephoto.com) is the world’s leading provider of consumer digital imaging solutions for retail environments. Apple Industries manufactures, markets and sells the award-winning line of Face Place digital photo booths. Face Place photo booths contain Smile 2.0 software which allows customers to purchase photo strips, 4×6 photos, and to share their photos directly from the photo booths by email, Facebook or Twitter. Apple Industries has been in the photo, vending, coin-operated machine and event planning industries for more than 30 years. For more information call (516) 619-8000.